Pokémon has been dominating the news recently. Older readers probably remember the phenomenon surrounding the franchise in the late '90s with the TV show, trading card game, and first generation of video games that got tonnes of people obsessed with catching them all. Now, after years of steady global popularity, it looks like the franchise has struck gold with the "Pokémon GO" app. For those not familiar with the franchise, it's Japanese. However, the name isn't really Japanese, it's a portmanteau of English words that Japanese borrowed. In Japanese, the franchise is called "Poketto Monsutā" from the English "Pocket Monster". The Japanese was then shortened and merged to make "Pokémon". Aside from the stories, the battling, and trading, the fact that Pokémon went global gave rise to some very interesting translations. Today I'd like to look at some of the best Pokémon from the first generation (also featured in Pokémon GO), and some of the most interesting translations used. Scyther is a bug/flying type Pokémon, and looks like a praying mantis with scythe-like blades for arms. In Japanese it was called strike, but the French name is awesome! It combines the French for insect (insecte) and the gardening tool pruning shears (sécateur), to make "Insecateur". Alakazam has an amazing name, since it's the third of three evolutions, the first and second being "Abra" and "Kadabra"... get it? Abra, Kadabra, Alakazam. Almost everywhere in the world, this Pokémon is a portmanteau of two monsters from Japanese monster movies, Gyaos and Rodan. However, for the French translation, they decided to go with Léviator, from Leviathan. Pretty cool, right? The fire-type dog is a portmanteau of arcane and canine in English. However, in Japanese it is actually called Windie, due to its speed. Clearly that wouldn't have sounded right and needed to be changed. The name of this ghost-type Pokémon in Japanese was taken from the German word doppelgänger. In most countries, it goes by Gengar. However, the French translation went above and beyond when they combined the words for ectoplasm and plasma to call it Ectoplasma. 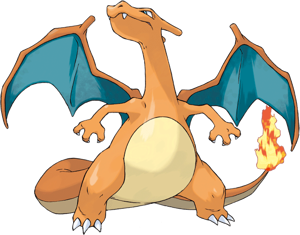 The dragon-type Pokémon has a cool name in both French and German. In French, it combines the Latin word for "dragon" and the French for "colossal", giving the name Dracolosse. I reckon German wins this localisation battle with Dragoran, from the words for "dragon" and the verb "to riot", randalieren. 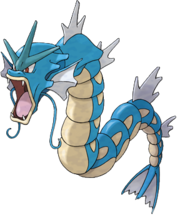 In English, this water-type Pokémon's name is a portmanteau of "blast" and "tortoise". Everywhere but France kept it the same, with France opting for a portmanteau of the French for "turtle" and "tank", to give Tortank. The most popular of the original 150 Pokémon. This dragon-like fire/flying-type Pokémon is not only awesome in appearance, but its name in most localised languages is awesome. Of course, English is a combination of "char" and "lizard". In French it's Dracofeu, from "dragon" in Latin and "fire" in French. German wins this round with a combination of "ember", "dragon", and "rocket", giving us Glurak. Regardless, you probably want this Pokémon in your team. Now get out there and catch them all!